The UK has long grappled with the issue of fracking but now that none other than Sherwood Forest has been listed as a target for seismic surveying by Anglo-Swiss chemical giant Ineos, the fight could take on mythic proportions. Having only relocated their headquarters to the UK in December 2016, the company, which currently supplies 1 in 10 British homes with gas, has made clear their intentions to pursue fracking in the UK as part of an overall investment of $2bn in the coming years, according to an Ineos press release. While the company’s safety record has previously come under fire over a gas leak at their plant in Grangemouth, this latest controversy isn’t purely environmental but cultural. 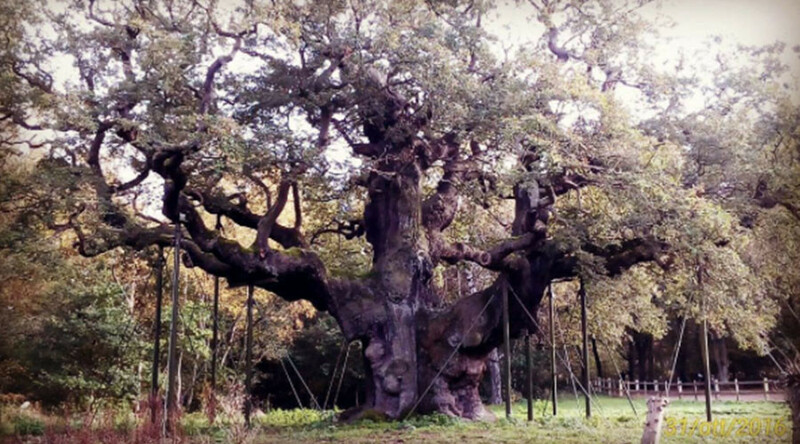 The environmental activist group Friends of the Earth has obtained documents which show that Ineos plans to begin seismic testing within 200 meters of the famous Major Oak of Sherwood Forest, a 1,000 year-old tree at the heart of the Robin Hood folktales. “I can’t think of anything more iconic in the English mindset to go for. You’d have thought they’d have learnt from the mistakes of some of the other fracking companies to avoid it, but they’ve gone straight for it,”said Guy Shrubsole, a Friends of the Earth activist, highlighting the immediate public backlash to such a historic site being considered for fracking operations. A protest camp has already been set up in nearby North Yorkshire to protest fracking operations by another company, Third Energy. Fracking has not been well-received in the UK so far, with increased seismic activity in Blackpool, believed to be the result of fracking activity by Cuadrilla in 2011, drawing even more intense public scrutiny to the practice. With a major increase in seismic activity reported in the US state of Oklahoma since fracking began (with almost 1000 earthquakes reported in 2015), combined with the incidents closer to home in Blackpool, Friends of the Earth fear that the seismic surveying alone could severely damage the forest, given the high density of plant and wildlife in the area. It appears that the locals may have to band together to fight off outside intrusion and defend Sherwood Forest once again.